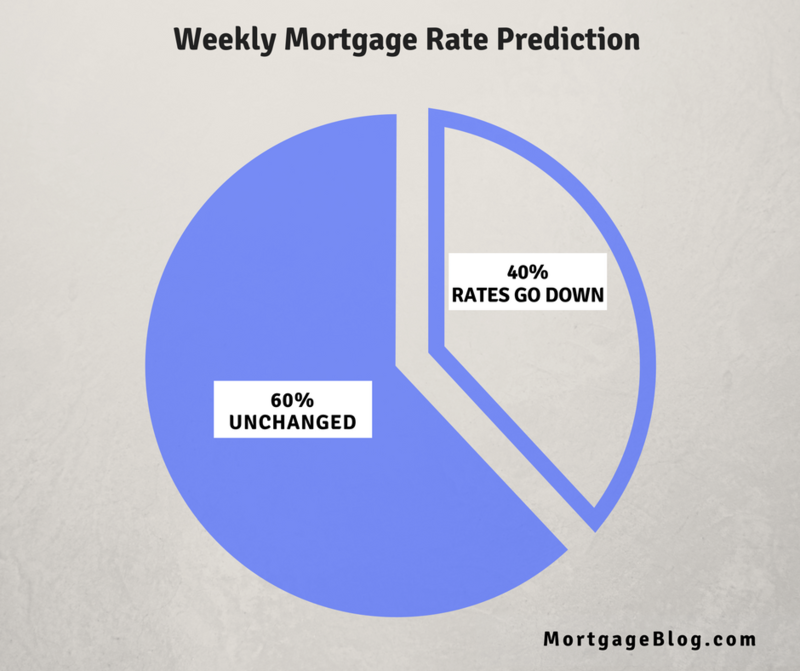 This week’s news has had little impact on mortgage rates. Trade war concerns shifted from steel and aluminum tariffs to China’s history of piracy issues in technology and intellectual property. The majority of the media commentary is around the appointment of Larry Kudlow as White House economic advisor. Kudlow has a pro-growth, anti-tariff, pro-tax-cuts stance, and those are negatives for long bonds (which directly impact mortgage rates). The elephant in the room is the Senate’s passing a bipartisan bill relaxing restrictions placed on the banking industry via the 2010 Dodd-Frank Act. The new bill includes changes that will ultimately put “frozen capital back into circulation in lending. But that ‘frozen capital’ has kept mortgage rates artificially low. Now banks will operate in more of a free-market capacity, with mortgage-backed securities going back to a ‘supply and demand’ market down the road. 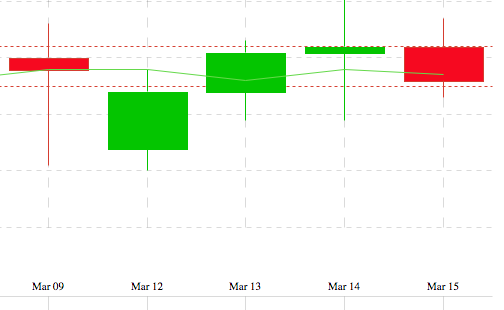 This week’s candlestick chart, below, shows more sideways movement in Mortgage Backed Securities (MBS) over the past week. MBS directly impact mortgage rates, and the days with red indicate higher and green lower rates. Weekly mortgage rates and trends from Bankrate, a compilation of mortgage and economic experts across the country, shows a majority prediction (60%) that rates will remain relatively unchanged this coming week (plus or minus two basis points). 40% predicted rates would fall and 0% predicted they would increase. Should You Lock or Float Interest Rates? Float cautiously in the short term (10-15 days). The markets see a rate hike as a foregone conclusion from the Fed meeting on 3/21, but once the commentary from the meeting is public, markets may show some volatility. I recommend locking if you are closing in the next 30 days. How to become a better Mortgage Rate Shopper?